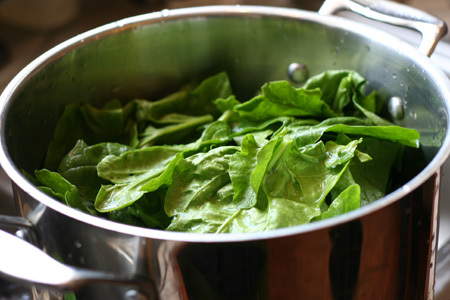 In a small saucepan on low heat, cook spinach with 1/2 teaspoon salt and baking soda until wilted, 3-5 minutes. You can close the lid and allow the steam to speed up the cooking process. Drain any left over water from the saucepan. Turn up the heat to medium-high and add the oil and garlic to the cooked spinach. Sautee for 2-3 minutes. Remove from stove and allow to cool completely. 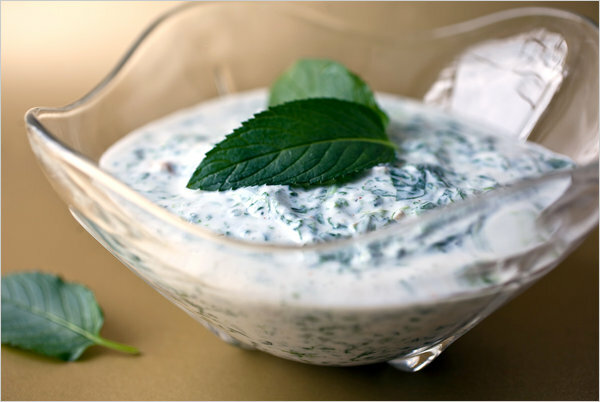 Add spinach mixture, remaining 1/2 teaspoon of salt and the pepper to yogurt. Garnish with a sprig of fresh mint or a dash of cinnamon.